The best restaurant in Andrew, Iowa! 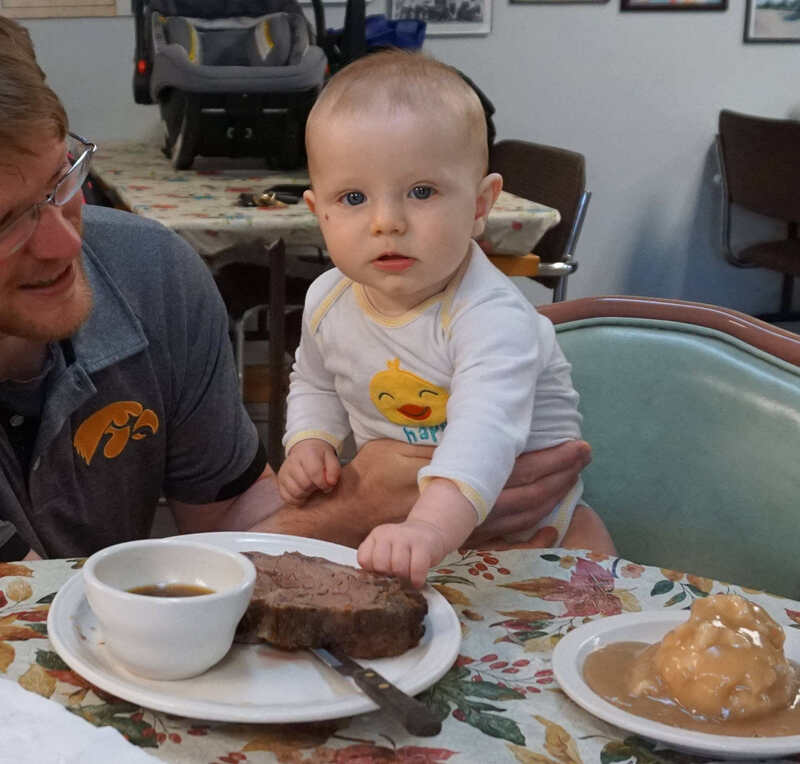 We're a family-run locally-owned "mom and pop" diner serving down-home food. Eldon and Elaine have owned the restaurant since 2004. Elaine runs the kitchen, Eldon runs the numbers, and the rest of the family helps out wherever needed. In addition to our popular Daily Specials, we serve up classics such as burgers, sandwiches, chicken, homemade salads, and homemade pies. Our meat comes from the locker in Preston and we serve generous portions of it. Check out our full menu! Go to Andrew and, if you are coming from Maquoketa on Highway 62, turn right on Benton. If you are coming from Bellevue on Highway 62, turn left on Benton. If you are coming from Springbrook... we're in the old hardware store next to the old phone company, across from the (new) post office. Please note: we accept cash only.